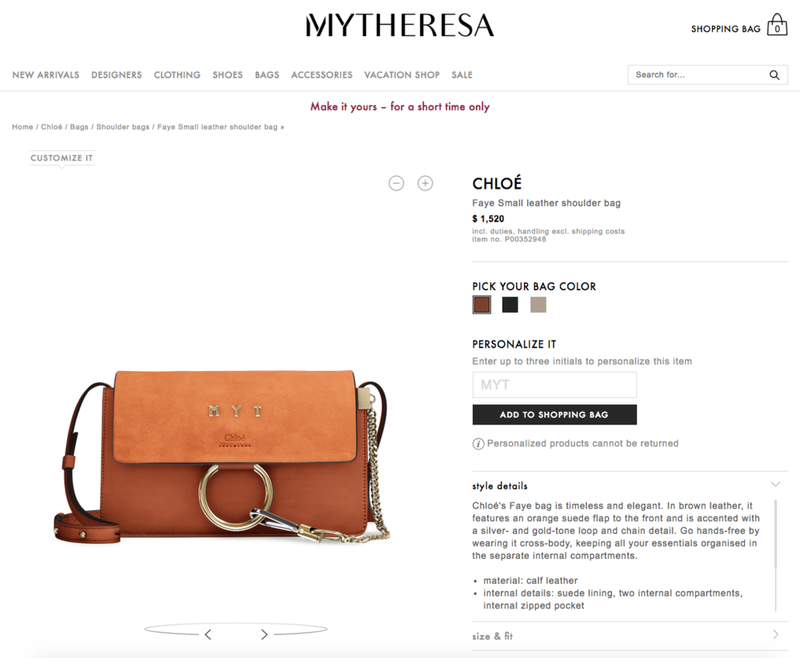 Our growth in the luxury apparel, footwear, and accessories market continues, courtesy of our third collaboration with mytheresa.com, one of the world’s leading luxury online retailers. We’ve just launched versions of three Chloé handbags, enabling mytheresa.com shoppers to customize the color and personalize with gold-colored, raised-metal monograms. They also can zoom in and rotate the bags to closely inspect their handiwork. The bags were released today. For all the details, please read about the collaboration in our news release.